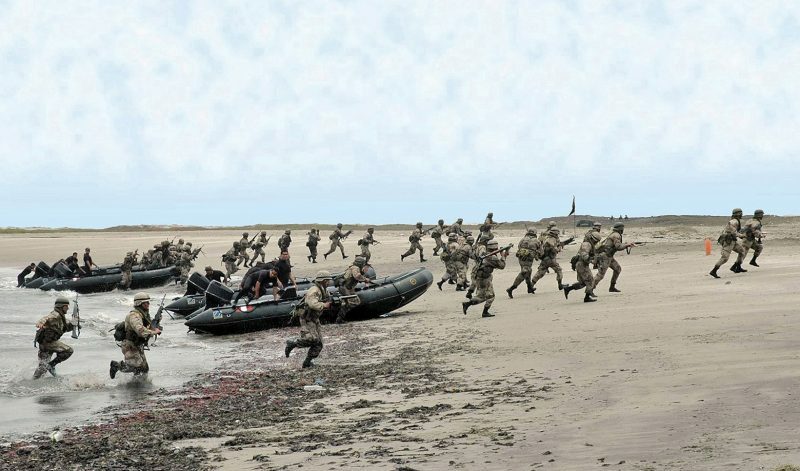 The UNITAS 2017 Amphibious Landing Phase on the beaches of Ancon, Peru. Photo: Peruvian Navy. LAYING DOWN THE GAUNTLET – The Royal Navy takes a lead in Exercise Saxon Warrior off Scotland. A ‘CALIPHATE’ OF TERROR AT SEA? – As its land base crumbles in Syria and Iraq, ISIL may look to the oceans. ART OF WAR ON THE MENU – The big UNITAS 2017 exercise in Latin American waters provided various warfare lessons. WHERE DO CHINA’S AMBITIONS END? – How will Beijing handle the possibility of war in the Korean peninsula and will making the South China Sea its Mare Nostrum be an error? EUROPE’S MED FAILURE? – Starkly contrasting views of the European Union’s Operation Sophia anti-trafficking mission in the Med. THE DISEASE OF SHORT-TERMISM – Future fleets cannot thrive without a long-term plan. 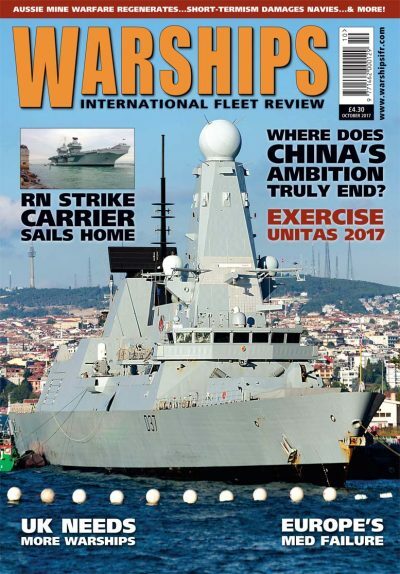 Buy WARSHIPS IFR to read all of the above and much, much more!